Yes, I still have a Christmas tree up at my house. 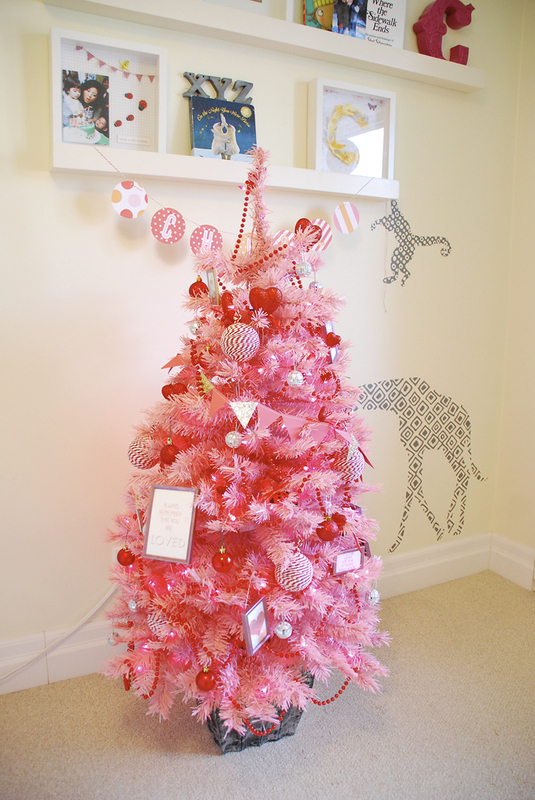 The kind folks at Treetopia sent over this 4' pink tree just a day before Christmas and its been up in Chloe's room ever since. She adores this tree and I haven't the heart to put it away just yet. It has a soft pink glow and every night Chloe asks me to turn it on, like a nightlight (I turn it off after she's fallen asleep). 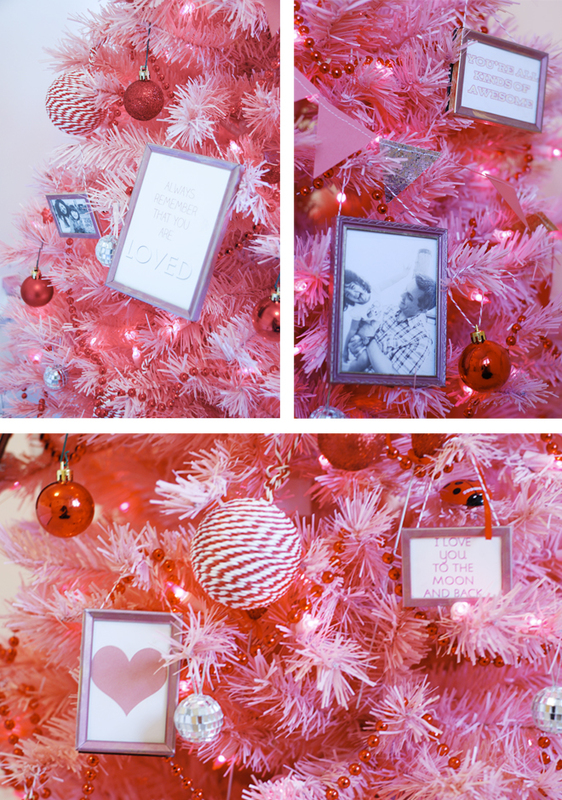 So this being the season of all things pink, I decided to turn our Christmas tree into a Valentine's tree! 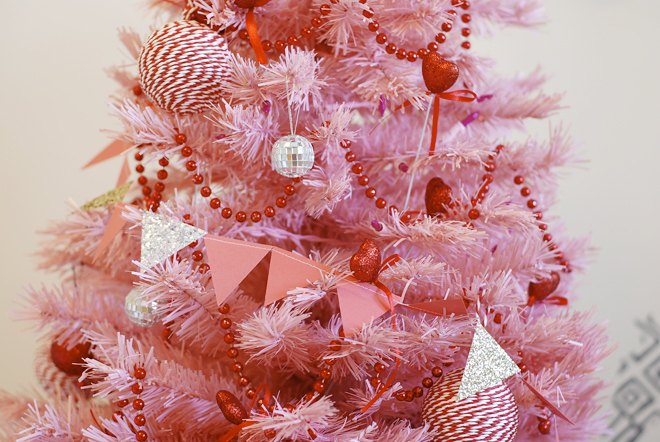 First I added all of my red decorations - ornaments, bead garlands, and some heart picks from the dollar store - along with Chloe's favourite mini disco balls for a bit of shimmer. 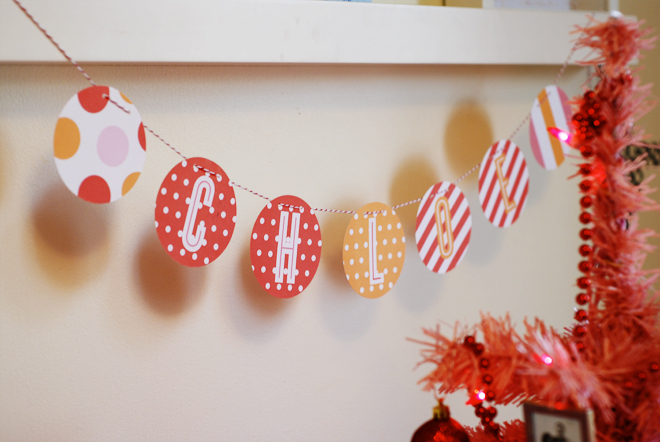 I got the red and glitter bunting from Lexy at Alt Summit. She included it with her business card! So fun. I picked up a pack of mini picture frames (6 for $2!) at the Salvation Army and coloured them with a metallic craft marker that I had on hand (not a permanent solution, but I didn't want to buy a whole can of pink spraypaint I probably would never use again). I printed out a few phrases about love and some family photos and popped them in the frames. The frames are strung up using some bakery twine and tape. Can you spot the ladybug magnet that Chloe added? 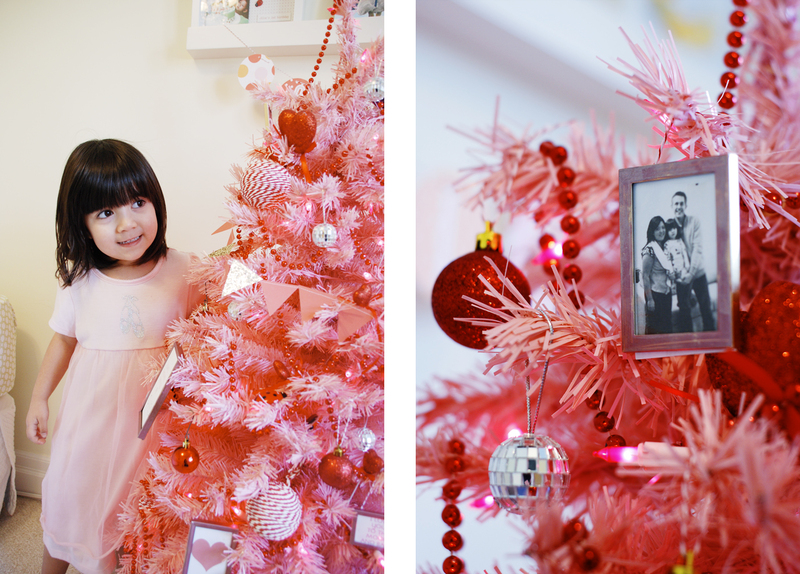 I don't usually do much for Valentine's Day, but with a pink-loving little girl, I can't help but go a little overboard this year. 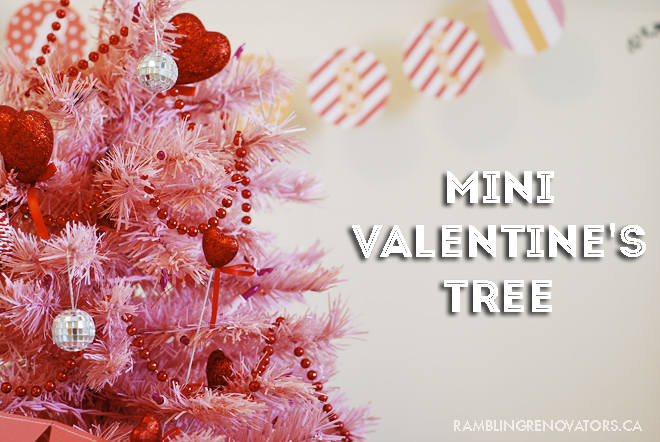 Do you decorate for Valentine's? For me, as long as there's some Lindt chocolates, I'm happy.